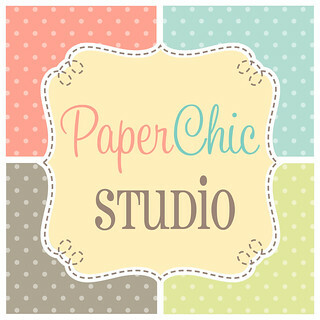 Trying out a bigger font size for this post! 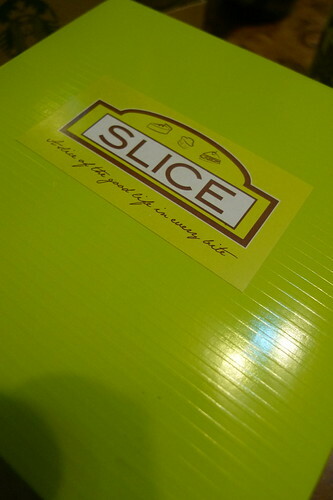 Last Friday, I got to try out Slice when I was there for the Breastfeeding Forum (another post on that). 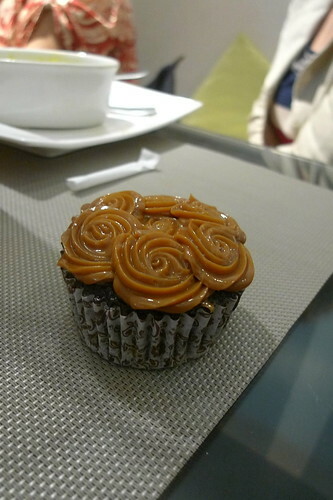 People have been raving about their Choco Yema cupcake and I finally got to try it last Friday! During the the forum, we were served lunch. 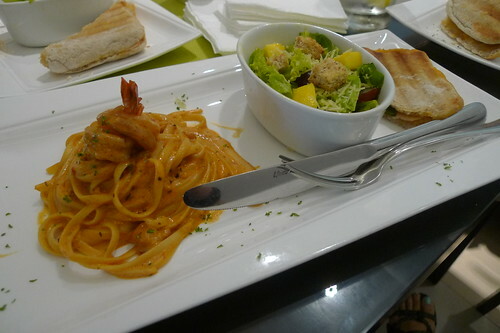 A full plate with pasta, salad, and sandwich which I wolfed down so quickly (nahiya naman ako sa seat mates ko. LOL!). I also got to try their Belgian Hot Chocolate which was so rich and chocolate-y and the reason why I have sore throat now! Then dessert came! Cupcakes, cupcakes, and more cupcakes! 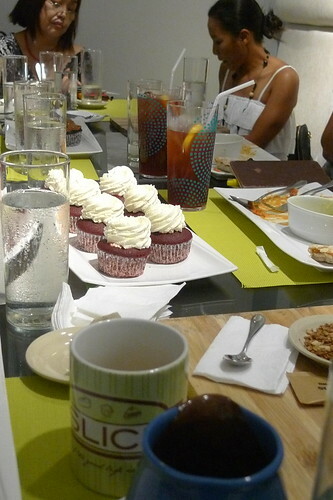 My eyes went huge when they served the choco yema cupcakes haha! 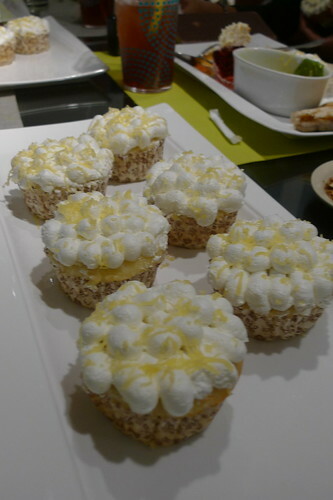 There was also red velvet cupcakes and a new cupcake which they are not serving yet! First dibs kami! Tres Leches(?) Not the official name. And finally.. 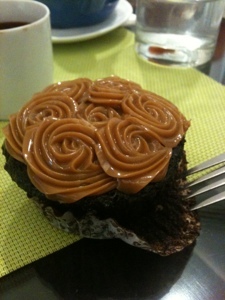 THE Choco Yema Cupcake! It's super good!!! I've always liked moist chocolate anything! 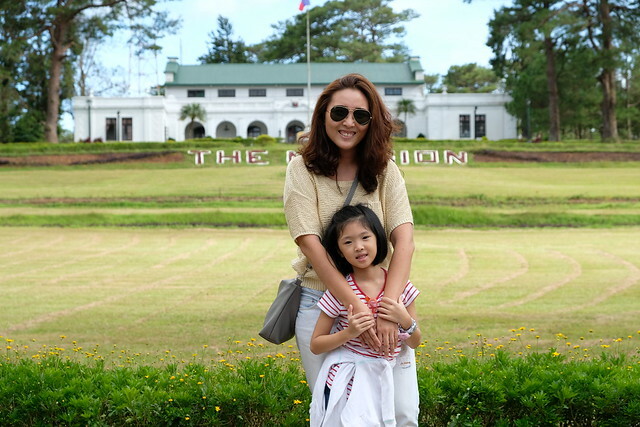 And this one is it! And when you bite the yema frosting on top together with the soft and moist chocolate cupcake, OMG! Promise you won't regret ordering this! 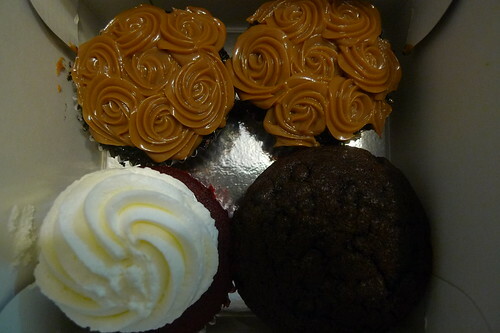 Since the BOS also has a sweet tooth, I had to buy a box of cupcakes as pasalubong! The BOS had the Choco Madness, sabi niya it was okay lang. We shared the Red Velvet, which I must say it's also good! It's my first time to eat anything "red velvet". My sister and BIL had half of a choco yema which they find sweet and best partnered with black coffee! I have yet to go back and try their food!